$27.99 & FREE Shipping on orders over $59 $35. 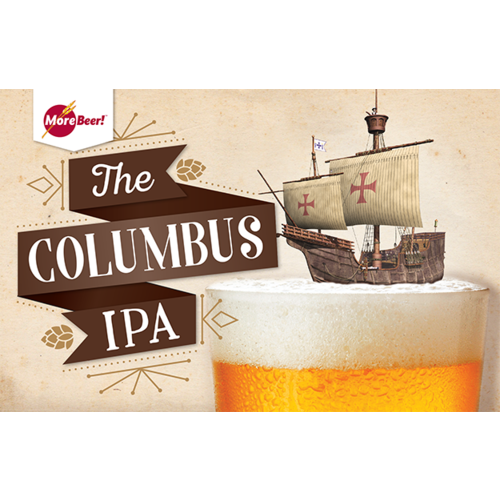 (Makes 5 gallons) A great IPA recipe that features the high oil content Columbus hop in the finish. Lots and lots of aroma combined with very evident hop flavor. The Columbus hop flavor and aroma help work to soften the apparent bitterness. The malt and grain remains the same as the American IPA recipe. Kit of the week and it sounds good! Try something new and it was inexpensive and had a good rating. I've brewed this kit 5 times now and it is one of my go to recipes. 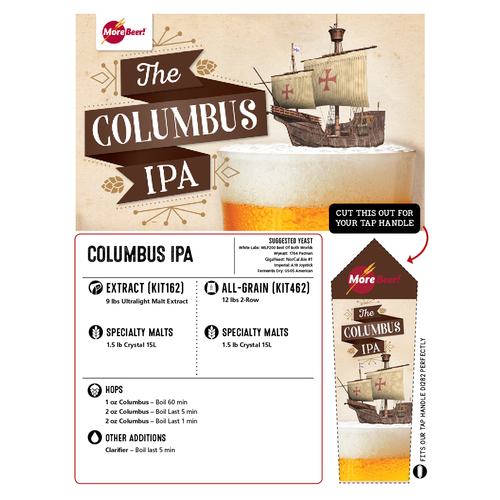 Loving single hop IPA's and never tried Columbus, gets great reviews! Second time doing the all grain brew-great flavor at an excellent price. Excellent beer at an excellent price! 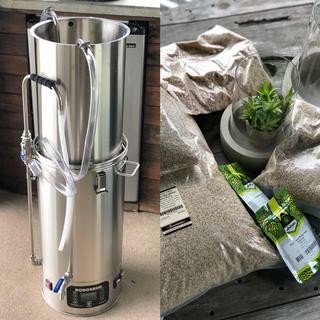 Second time brewing on Grainfather. Dry hopped first batch with 1 oz Columbus but this time going with the recipe. Very good IPA with plenty of body and hop bitterness. Will be a regular brew. Did BIAB - mashed at 154 for 60 mins, followed everything as it is, ended up at 1.059 OG, used US-05, fermented between 64-66F, 13 days in primary then kegged + dry hopped with 1 oz Columbus. Wow this clean, citrusy and refreshing. Just the right amount of bitterness and hops. Those that are non hopheads ended up pouring pint after pint. I can see this being the perfect summertime beer. I’m now a huge fan of the columbus hop. This is a great IPA... The only thing I will do differently next time is a dry hop addition. Everyone that I have shared it with has been very impressed. 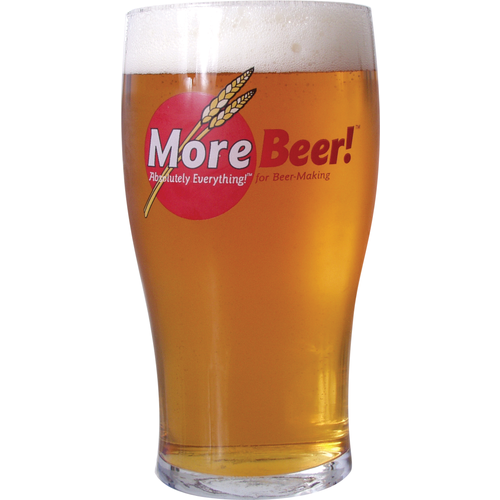 Nice easy ipa, simple for new home brewers doing there first all grain. Great kit, value, and taste. Quality. Second time brewing this recipe. Didn't make any additions or changes. Simple to brew and great results both times. An easy drinking smooth and non- overpowering IPA that was enjoyed even by my Bud drinking friends. I recently had a neighbor ask me if there was grapefruit in the beer. I've brewed this beer several times and it is becoming a bench mark IPA for me. After a year of 1 gallon all grain I switched up to 2.5 gallons (got an excellent 3-gallon ported carboy from MoreBeer), this was the first recipe I tried (2 batches from 1 kit). I'm really happy about how this turned out, I used the recommended Safale yeast and didn't make any alterations, and the beer is truly excellent! Great aroma and bitterness, just how I like it. I did a taste test between this, Sam Adams IPA, Founders All Day IPA, and Two Roads Honeyspot IPA, this was actually my favorite of the four. Will definitely be brewing this as my go-to IPA going forward. When I bought this, I was a little nervous about 1) a beer with 1.5 lbs of crystal malt and 2) an all columbus beer. I mashed at 154 and let it cool down to 148. I used a combination of US-05 and Imperial Pub yeast. I am happy to report that this kit makes an outstanding beer. Excellent full body and nice citrusy hops flavor and aroma. The beer is well balanced with moderate bitterness that is not harsh. It is not overly sweet. High marks. This has become my go to IPA. It has a great IPA flavor and great nose on it. I brew about 200 gallon of beer a year in different styles, but mostly concentrate on Pale Ales and IPAs. But this one is an all time favorite of mine. I did add my own twist to it though by dry hopping after 7 days with 4 oz of Willamette hops. I like it even more like that, but even with out adding the dry hops to the basic recipe, it is a very solid beer. Can't go wrong with the Columbia IPA. I highly recommend it. This was my first brew and it turned out great. Family and friends love it and as it ages it gets even better. I would highly recommend this for a first timer and I will be making this again. I made this a few weeks ago. I don't normally post reviews, but this batch is so tasty I just had to. Tastes really great for such a simple grain bill and hop schedule. I added 2 ounces of citra for a dry hop for 6 days. Excellent beer at a great price. Pitched safale 05 for a clean finish. How did it taste with the Citra? Never was much of an IPA drinker till I discovered this one. It's a perfect balance of hops and drink-ability. I keep returning to it because I always miss it when I don't have it on tap. Downside is everyone else loves it also and it seems to disappear quickly. Yup, I've heard it said again & again, and I thought, "what the heck does that mean?" Wow!!!! This is some danky stuff!!!! I'm a believer. Get it, try it, you won't be sorry. For such a simple recipe, this produces an amazing IPA. I added an additional 2 oz. of Columbus pellets for a 5 day dry hop which really brought this beer to another level. Will be brewing this recipe often from now on, as this is one of the best IPA's I've ever tasted. This was my first all grain after years of doing extract brewing. All I can say is wow and why did I not make this change sooner. What a difference. This IPA tastes so good, all I want to do is drink it. Want to keep this stuff to myself and not share it with my friends. This one will be on my rotation list for sure. I totally recommend this recipe. It's gotten even better after a few weeks on cold chill. The Columbus hop is great!!!!!!! From a Chinook IPA Drinker. So far my favorite beer has been NB's Chinook IPA. I like the bite. I purchased this kit because I like trying different things. (As we all do) I brewed this with sa05. And was expecting a biting/piney ipa like chinook. With all the hop additions, I was honestly surprised to find such a smooth beer. It's as easy drinking as a pale mild. It was tasty after just a few days on tap, and has gotten better over the next two weeks. I will have to brew a much bigger batch if I want to find out what it will taste like after more than a few weeks! I will be brewing again very soon. Very smooth and tasty. Nice hoppy citrusy flavor, and not too bitter. This is an IPA that is straight forward with it's bitterness and flavor hops. Dry hop for that extra aroma that we're all looking for. this was the first kit I've gotten from morebeer. It is also the first ipa I have made. It came out tasting incredible. very strong hop flavor, citrusy and delicious. Due to my incredible knack for pulling the lowest possible efficiency numbers, my beer came out to only 1.050 og, but most people would probably get more out of it. I used Coopers ale yeast, and I couldn't be happier with my first ipa. Friend of mine did this kit and I really loved it. I have used Columbus but not all through the boil and never realized how great this hop is by itself. Great Job Morebeer!